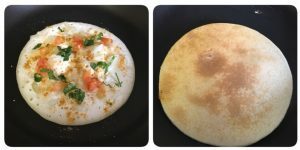 Rava uttapam is an instant, soft and spongy Indian pancake topped with veggies, usually served as breakfast. Rava uttapam is prepared by making batter with just 2 main ingredients rava and curd. 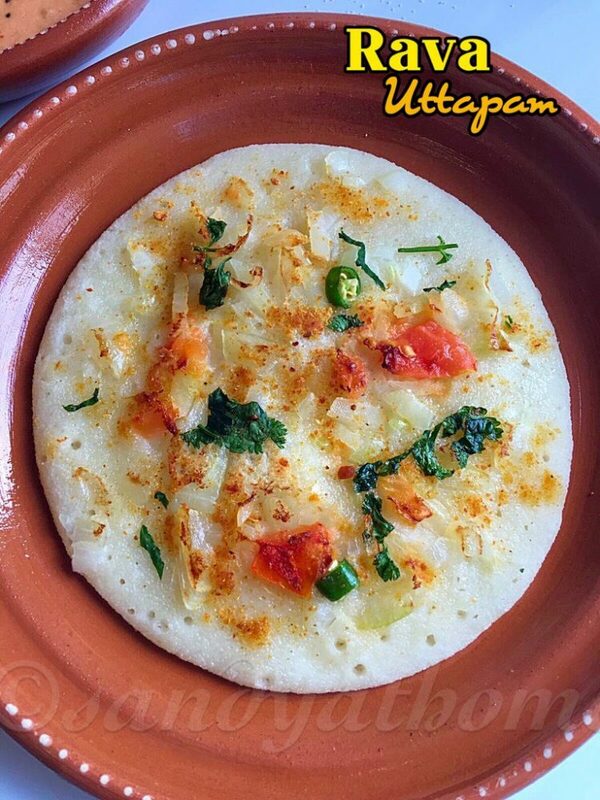 This uttapam is very easy to make and requires no grinding in its making. 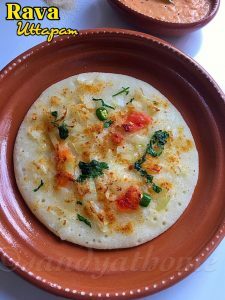 This uttapam is again one such instant and handy recipe when you run out of idli batter or if you want to try new recipe. Rava uttapam tastes similar to regular uttapam and tastes best when served with chutney and sambar. So lets quickly get to the making! In a bowl add rava, salt and curd. 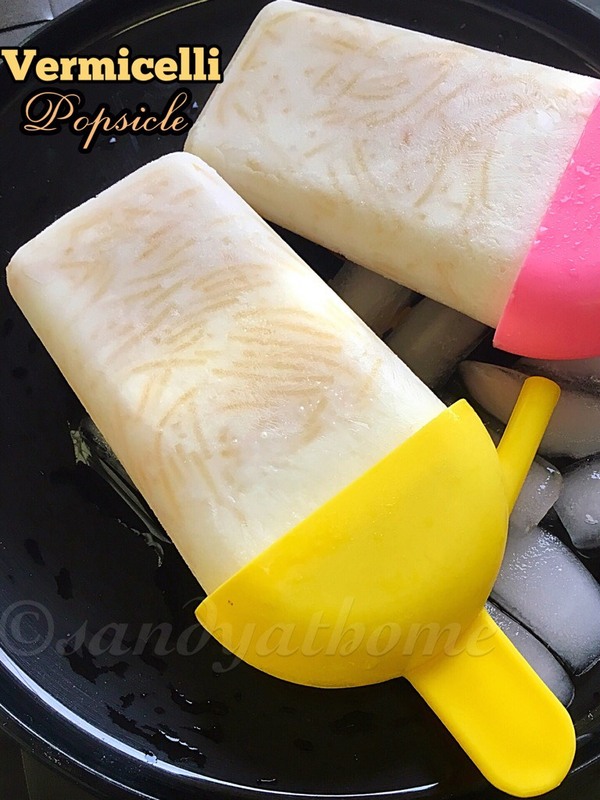 Mix well and keep it aside for 15 minutes. 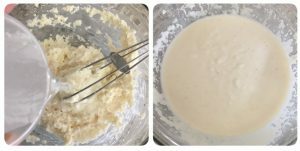 After 15 minutes the rava mixture would look dry, add little water and baking soda to the rava mixture to form thick batter. 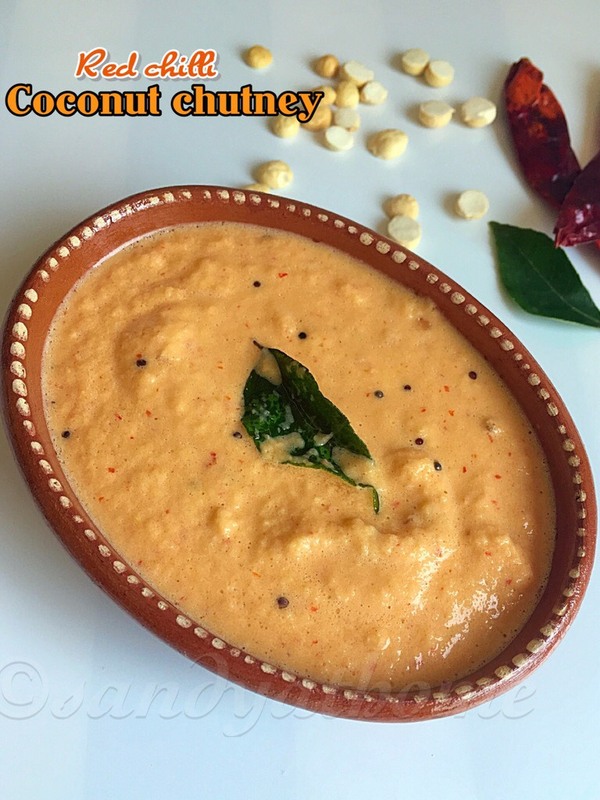 Heat a tava pour a ladleful batter and top it with chopped onion, tomato,green chili, cilantro and idli podi. Drizzle oil around the uttappam. When the sides brown flip it gently and cook till done. Transfer it to a plate and serve it hot with chutney!